Heavy duty SPDT relay by C.P. 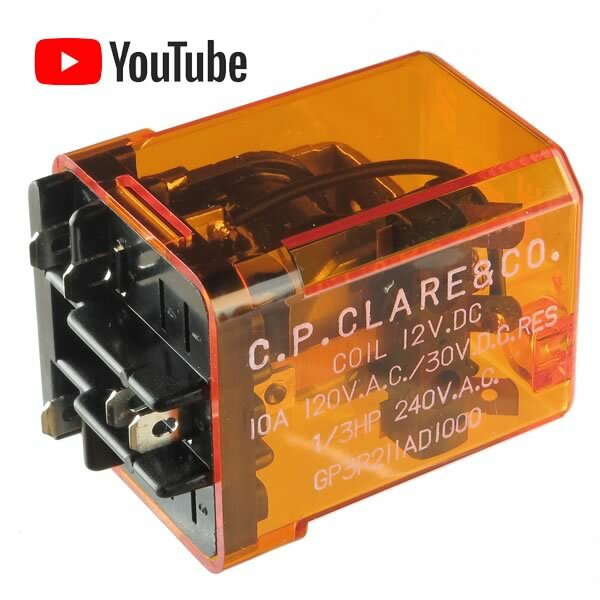 Clare Part# GP3R211AD1000 has contacts rated 10Amps @ 125VAC or 30VDC. Has see-thru removal dust cover. Coil resistance is 124Ω. Size 1.36" x 1.49" x 2.10".